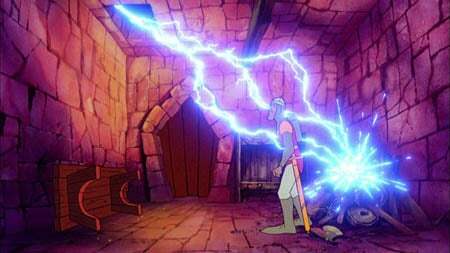 Dragon's Lair, the now 24-year-old animated video game developed by one-time Disney animator Don Bluth for laserdisc players, is back, remastered for the HD era and now available to buy on Bluth-ray Disc - sorry, Blu-ray Disc. Canadian software company Digital Leisure (DL) has been keeping the fires of Dragon's Lair burning for some time, releasing the game first as a PC DVD-ROM and, more recently, in HD form, again for the PC, along with similar discs containing each of the original games two sequels. DL's new release is pitched primarily at the PlayStation 3, one of the few BD devices out there capable of handling Blu-ray's Java-based BD-J interactivity system. The revamp also boasts a 5.1 surround soundtrack. 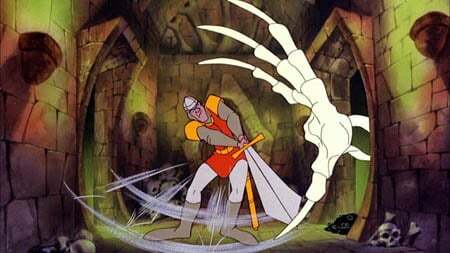 The Dragon's Lair BD goes on sale on 9 April, to be followed in due course by HD versions of Dragon's Lair II: Time Warp and Space Ace.